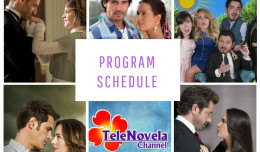 Passion: Episode 56 | TeleNovela Channel - Bringing you closer to lifes drama. Lisabeta fears that Ricardo already knows that Alberto has the letter while Don Jorge recriminates Alberto for delivering the letter to the judge without his consent. Meanwhile, Fortunata tells Ursula that Uriel wants Manuela to be his wife but Manuela prefers Ascanio. On the other hand, Ofelia now realizes that Rita is not the wife that she thinks is good for Santiago.